1972 was the last year for the 3rd generation Cutlass based on the GM A-body platform, and you could get a number of different configurations including; a 4-door sedan, 2-door coupe, 2-door vert, 4-door hardtop, and 2-door hardtop. Imagine if GM offered any car today in that many configurations...it would be chaos! 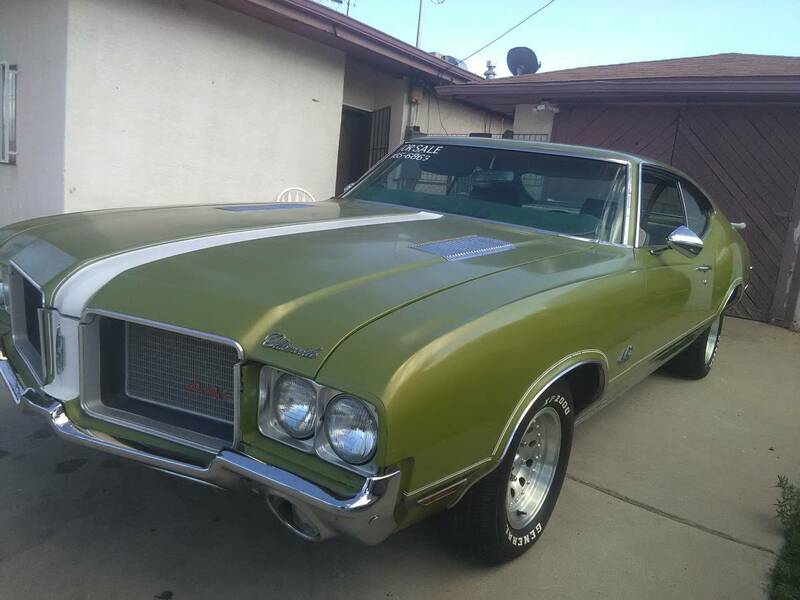 Find this 1972 Oldsmobile Cutlass Holiday Coupe offered for $11,000 near Belen, NM via craigslist. Tip from Fuel Truck. I still think this is one of the most underappreciated designs of the era. These just had beautiful lines back then compared to everything else in its class. Hope to get one sooner or later before they also pop up on the collector radar. I agree. I think that the Olds front end works really well on this shape. 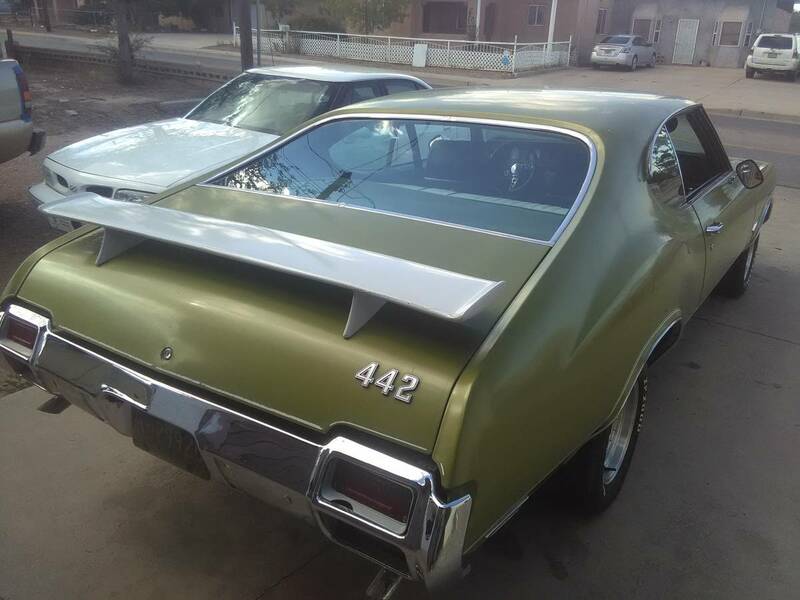 When I was fifteen, or sixteen, one of my attainable fantasy cars was a 1970 442, with the full Hearst/Olds package, so these have always occupied a soft spot in my heart. Fuel Truck - do you live in NM? My parents still live in Corrales. Actually, Sean, I live in Cincinnati, where cool older cars just aren't on the roads anymore outside of special occasions in the summer. I suppose that's why I'm so fascinated about unearthing all of these neat old classics from the sunnier cities. My go-to cities include: among others, Albuquerque, Phoenix, Seattle, Boise, and Austin. San Francisco and L.A. are just too easy, and I try to leave those towns for others to sift through. Basically, I conduct my searches in anyplace that offers whatever I think of as a good combination of median income, good weather, and a generally more liberal attitude, as that seems to yield the most eclectic mix of cool and funky rides. "anyplace that offers whatever I think of as a good combination of median income, good weather, and a generally more liberal attitude"
Hmm, I wonder what the relationship between tolerance and or fondness for unreliable, I mean fun, cars and political leaning is? In central California when my old Porsche is driveable, old white guys ( I am one myself , but I swear it just sort of happened that way between birth and surviving a lot "it sounded like fun at the time" shenanigans ) walk up and say the most depressing things if you think that everyone has stereotyped you as being like that. Driving my mom's rusted out Cummings/Dodge pickup gets a whole other sort of wild assumption about what would be an inoffensive conversational opener. On the other hand in Brooklyn, people take one look at the Subaru wagon and all of a sudden we're talking about transgender politics and land use zoning. I'm fairly embracing of liberal attitudes, but the fact that you can automatically get $1500 for any car you can drive to the junkyard here in California sort of removes the cars I like to play with from the market.